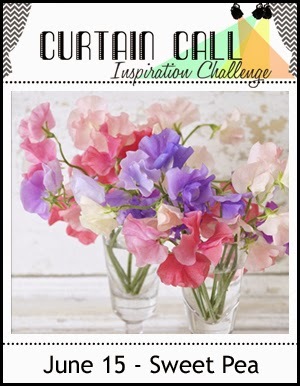 Thank you for joining us for the Curtain Call Inspiration Challenge - Sweet Pea. 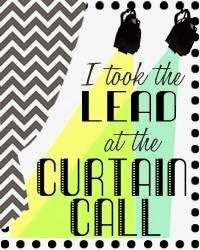 A big thank you goes to the Curtain Call readers, followers, participants and to our sponsor, SugarPea Designs, who is providing a gift certificate to their store! Congrats, Karen! 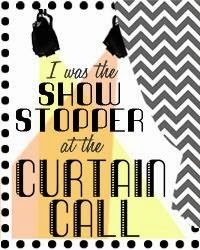 Please email Stacey at slschaf771@aol.com to accept your prize! I love Karen's water-colored image. The vellum strip with the greeting looks great. Karen's images reflect the challenge inspiration perfectly, I love the way the vellum sentiment is stitched on. 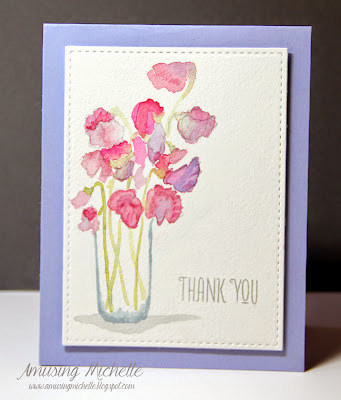 I loooove Michelle's watercolored sweet peas. Michelle's water coloured sweet peas are simply gorgeous! Shirley Bee's card is a beautiful display of sweetness! Vicki's beautifully colored flowers are a perfect frame for the "thank you". 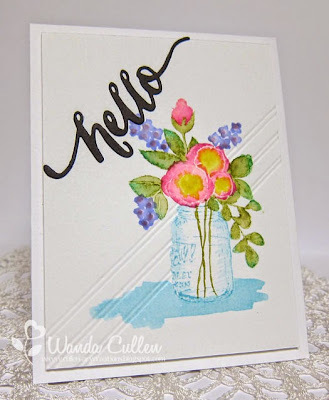 Wanda's watercolor stamping is amazing! Join us tomorrow morning for a new challenge and sponsor!